As the number of remaining school days lessen and the temperatures rise, TV Talk celebrates one whole year of existence! However, we are not here to discuss the length of my tenure on The Current. Instead, we’re here to talk about all the cool stuff coming out over the summer. It goes like this: I’ll list the show, what it’s about, why I think you lot should watch it and when and where you can view it. 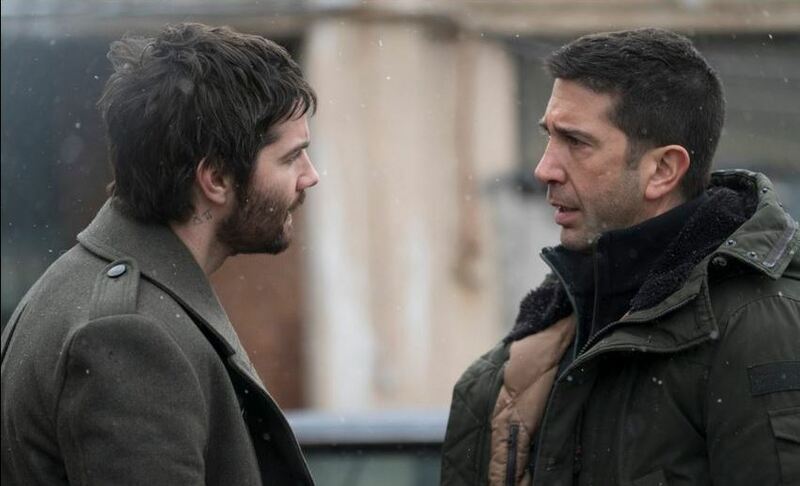 I’ll be honest, I didn’t know David Schwimmer had a career outside of Friends. Apparently, he’s been in some dramas over the years, but this is really the first time I’ve seen his name under the “starring” category. Feed the Beast is about two brothers who are at the end of their wits, and just want to open up a restaurant in the Bronx. However, to get their dream up and running, they take out a loan from the local mob and the series goes on to detail their struggles to make ends meet with the mob. I’d be lying if I said I wasn’t attracted to this series by the prospect of “Ross does fear and restaurants in the Bronx,” but I think Feed the Beast has deeper potential, too. You know that old trope about the shady butcher shop with mob ties? Feed the Beast looks like it will be a story about the day-to-day running of that butcher shop (or, restaurant in this case). The series will air on AMC starting June 5 at 9 p.m. Preacher is finally here, it only took a decade! 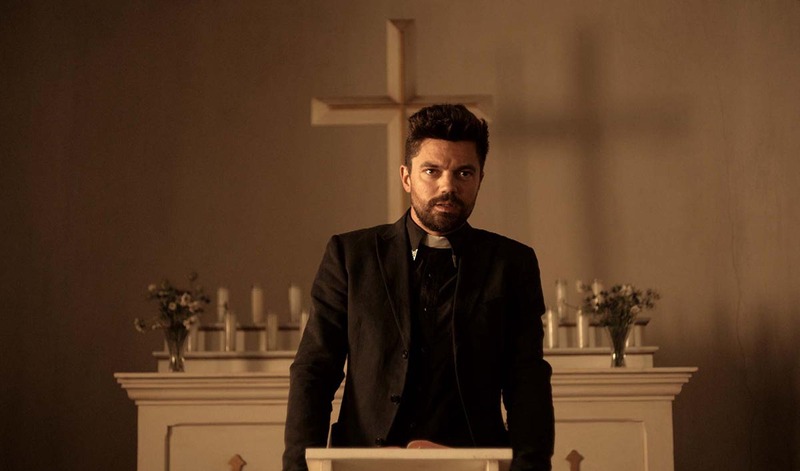 Jokes about this series’ troubled production aside, the show is about a “preacher” named Jesse Custer who must wander good ol’ ‘Murica to literally find God. For he has possibly the most powerful thing in existence, Genesis, inside of him and needs God to rip the thing out. On this most harrowing of quests, Jesse is joined by his ex-girlfriend (and professional hitwoman) Tulip and an Irish vampire named Cassidy. Why am I giving this series a spot? Preacher just sells itself. I suppose I should mention the comics from which AMC adapted the series are known for being crude and rude and for enthusiastically denying the Christian concept of a loving God. However, if you can get past that (or never much minded in the first place), then I implore you to check out the series and find out if the show is as deathly orange as the promos suggest. Preacher airs on AMC at 9 p.m., on the Sabbath (Sunday). Jojo’s Bizarre Adventure is about a high school delinquent turned marine biologist who has a checked mayan ghost called a stand (which is also his soul) and his adventures with his half-brother (who also has a stand) as they try to kill an equally muscular vampire (who also has a less muscular stand). Come back, it makes sense in context! Yes, Jojo’s Bizarre Adventure is a bit out there in concept, but it’s out there in a charming sense. The series goes to beyond impossible lengths to justify its own absurdity and watching it all unfold is just brilliance in a can. Jojo’s Bizarre Adventure is a show that prioritizes the entertainment of the viewer, references to old rock bands and bizarreness of the setting over all else. I would say more, but at this point, you know whether or not this show is for you. If you’re in the “this looks amazing” category, then you should know that starting from the beginning means you’ve got a 72-episode backlog to get through before you hit the new season. Jojo’s Bizarre Adventure can be viewed at the streaming site Crunchyroll and has new episodes every Friday. I love Berserk. I make no secret of it. I saw the 1997 TV series in early October and now it’s one of my favorite series and I own a decent chunk of the now 38-volume manga. Naturally, when I heard they were bringing it back, I was filled with glee. Berserk follows the adventures of the Black Swordsman, Guts, and his walking, talking medkit Puck. Together, the two walk the earth and hunt for Femto, a god-like demon that is responsible for destroying the Band of the Hawk and Guts’ old life along with it. It will not be a short or easy road however, as several demonic apostles stand in Guts’ way, and neither are too keen on moving. The animation for this show looks beautiful. It looks like it’s drawn on a scroll, a very primal scroll. As much as I love this series and much as I want more people to watch it, there is something I need to address. While I’d say that you should watch the original series regardless of your tolerance for gore, this is a different story. The 1997 version greatly watered down the graphic content of Berserk to get it on television, but this time around, no holds will be barred. To give you a ballpark estimate, think Game of Thrones, but two octaves higher. Berserk will be available on Crunchyroll in July. Robert! What a great article. I am impressed that you have made watching TV into a “career”. I, too, take my TV seriously. I plan to watch “Feed the Beast” based on your recommendation! I really enjoy reading your articles. Your voice and personality clearly come through. I will be checking some of these out!